The 2017 purchase of a team from the respected, and GAR 100-approved, boutique Astigarraga Davis in Miami heralded Reed Smith’s arrival in the 100 and brought it a new international arbitration leader, José Astigarraga. Since then, Astigarraga and the practice have been on something of a charge, adding additional talent around the world and seeking to harness existing elements (many already successful) into a coherent whole. Founded in Pittsburgh in 1877, Reed Smith as a firm has enjoyed a name in energy and natural resources, life sciences, entertainment, shipping and financial services. While lawyers within its industry groups did practise international arbitration, there was no central international arbitration practice for many years. The current practice began to take shape around 2007 when Reed Smith merged with UK firm Richards Butler, well known for disputes in London. A construction team from Pinsent Masons arrived soon after. During that period, London was the centre of the practice; work tended to be led by Gautam Bhattacharyya, who has a focus on India, and Belinda Paisley, who specialises in investment treaty disputes and public international law. Between 2008 and 2013, the practice extended to Hong Kong (when Reed Smith acquired Richards Butler’s local operations), Singapore, Houston and Astana – this last in response to an increasing amount of work from the Kazakh government. For a while the practice was also home to the rising star Shai Wade (he moved to Stephenson Harwood in 2012). José Astigarraga in Miami is now global practice head, with Bhattacharyya in London serving as deputy. Astigarraga is a renowned Latin American specialist, with a track record and personal network in the region beyond almost all compare. It would be no surprise if his presence led to a marked increase in Latin America-related work and a shift towards representing investors as well as states in investment treaty cases. Astigarraga is also a former vice president of the LCIA, a member of the ICC commission on arbitration and ADR, and an active member of the International Bar Association. He oversaw the task force responsible for the IBA guidelines on arbitrators’ conflicts of interest. He was also one of the US government’s appointees to a NAFTA commission aimed at promoting dispute resolution in North America. The past two years have seen further hires, many from Pinsent Masons. In 2017, Peter Rosher, a renowned construction and energy specialist (he is the only non-French director of the French Arbitration Association) joined from Pinsent Masons in Paris. Soon after a team of Pinsent Masons disputes lawyers joined in the Middle East – including Sachin Kerur (who was overall regional head), Michelle Nelson (head of disputes) and Shourav Lahiri (partner). The key offices are now Miami, London, Paris, Singapore, Hong Kong, Dubai and Houston, with others in Frankfurt and New York. The wider firm has 29 offices across the US, Europe, Asia and the Middle East. As of 2016, it also has a formal law alliance with Singaporean firm Resource Law. The firm has a policy of not naming clients, but those are known to include big names in the energy and natural resources, construction, pharmaceuticals and shipping industries. Kazakhstan is one client in the public domain. It has used the practice for nearly two decades in ICSID and UNCITRAL matters, some worth billions of dollars. Bolivia’s state-owned telecoms company Entel and Tanzania’s national electricity company Tanesco have used members of the firm. As have General Electric and engineering and construction group SNC-Lavalin. At their former practice, Astigarraga’s team regularly advised General Motors, GE Medical Systems, Citibank and Ukrainian oligarchs Igor Kolomoisky and Gennadiy Bogolyubov. Reed Smith has delivered a string of successes for Kazakhstan. In 2013, it knocked out a pair of ICSID claims each worth over US$1 billion, lodged by KT Asia and US power company AES. The first of those was tossed out at the jurisdictional stage; while AES prevailed on liability but was denied restitution or damages. In 2010, it helped Kazakhstan win complete dismissal of a US$200 million ICSID claim by Dutch companies Liman Caspian Oil and NCL Dutch Investment. More recently, it shrank a Turkish investor’s ICSID claim for US$150 million to a payout of just US$22.7 million for the state. It defended Tanzania’s Tanesco in two ICC arbitrations worth a combined US$150 million over a power project. One arbitration went entirely the client’s way, while another became the subject of Tanzanian and English litigation that eventually settled. The former Astigarraga Davis team’s recent highlights reel includes enforcing an ICC award in favour of the US Federal Deposit Insurance Corporation against investment firm IIG Capital in the Florida courts; and winning various landmark US court decisions granting discovery in support of arbitral proceedings (in one case for a NAFTA claim). In addition to the hire of three ex-Pinsent Masons practitioners in Dubai and Abu Dhabi, Reed Smith also added another partner in the emirates: Mahmoud Awad arrived from Dubai Law firm Hadef & Partners. In Singapore, the team added former Norton Rose Fulbright partner Daniel Perera. An ICSID annulment committee ordered Kazakhstan to pay a US$30 million award to a Turkish company whose investments at the port of Aktau on the Caspian Sea were seized by court bailiffs. The state was ordered to pay after failing to provide security ahead of annulment proceedings. Reed Smith continues to act for Kazakhstan in three other claims it is facing at the centre. The firm persuaded an ICC tribunal to uphold jurisdiction over many of the claims of a French-Italian businessman against Gabon. The claims are worth a reported €200 million and related to money allegedly owed for work on public infrastructure projects. From Miami, the firm is helping a US-based Ukrainian businessman bring a US$150 million against Estonia over the alleged expropriation of his company’s investment in a Tallinn seaport. A Florida court upheld an ICC award in favour of the firm’s client, the Panama Canal Authority, in relation to one of the many disputes arising from the waterway’s expansion. In Hong Kong, the practice received a new instruction from a company owned by Jimmy Lai, the media tycoon. The client is facing an HKIAC claim of US$60 million over the aborted sale of a magazine business. Zheng Biao, a manager at Cosco Shipping, says his company has used Reed Smith for more than 16 years and that the firm has “achieved good results without wasting money.” Hong Kong partner Li Lianjun is praised for his “practical and helpful” advice. Reed Smith’s international arbitration practice spans the globe. With offices in the world’s leading arbitral centers, including London, Paris, New York, Singapore, Hong Kong, Dubai, Miami, and Houston, we are ideally positioned to represent clients in international business disputes. To build on our existing strengths in arbitration, we launched an expansion of our global arbitration practice last year. Since then, we have been joined by leading international arbitration lawyers in Paris, Singapore, Frankfurt, New York, and Miami, where we added a market-leading team for Latin American disputes. The most recent addition to our practice has been in the United Arab Emirates, where we have been joined by a number of high-profile international arbitration lawyers with wide and long-standing experience in the Middle East. With the addition of such recognized talent to our already-strong and multi-jurisdictional team of international arbitration lawyers, we now have one of the largest and most diverse international arbitration practices in the world, with the ability to represent clients in every significant arbitral center and seat around the globe. As one of the world’s leading disputes firms, we also represent clients in arbitration-related proceedings in first instance and appellate courts, including stay and enforcement proceedings. Our geographic reach is coupled with deep industry knowledge. 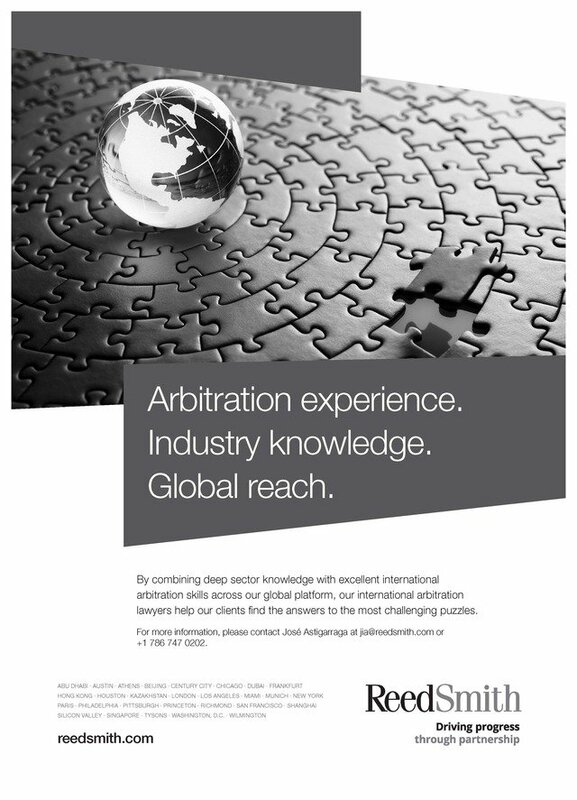 Many of our arbitration lawyers are embedded within industry groups, giving them practical and real-life experience of the workings of our clients’ business and industries in a wide range of sectors, including energy and natural resources, shipping and transportation, international trade and commodities, pharmaceuticals, life sciences, entertainment and media, financial services, telecoms, insurance, manufacturing, and construction. Our team has significant experience in investor-state disputes involving bilateral and multilateral treaties under the auspices of ICSID and under the UNCITRAL rules, and in claims under the Energy Charter Treaty, advising and representing international investors, states and state-owned entities in a wide range of disputes. Many of our international arbitration practitioners hold leadership positions within the global arbitration community, and frequently speak at conferences on arbitration. For more information on our international arbitration capabilities, please contact José Astigarraga at jia@reedsmith.com or +1 786 747 0202.